Built in the late 1920’s the Crowne is one of the most majestic and celebrated hotels in Ontario. The hotel was the first four star hotel to dot the Niagara Falls skyline, and today continues it’s legacy of service and elegance. 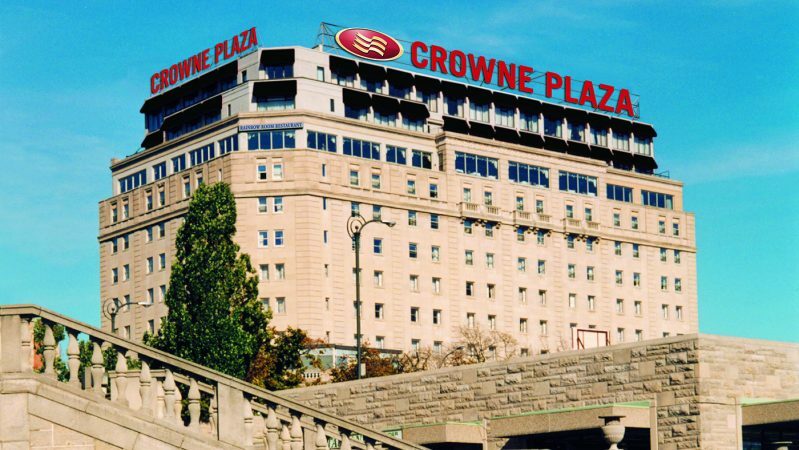 The Crowne Plaza Niagara Falls – Fallsview Hotel has been recently upgraded to boast the classic Victorian Style of the hotel with world-class amenities. The Crowne Plaza in house dining at the Rainbow Room by Massimo Capra Restaurant offers the best panoramic view of both the American and Horseshoe Falls as well as the surrounding area. Other nearby dining includes themed restaurants including the Hard Rock Cafe, Planet Hollywood and Rainforest Cafe. This hotel is located in the heart of the Tourist District and is conviently located only a block from the Falls.